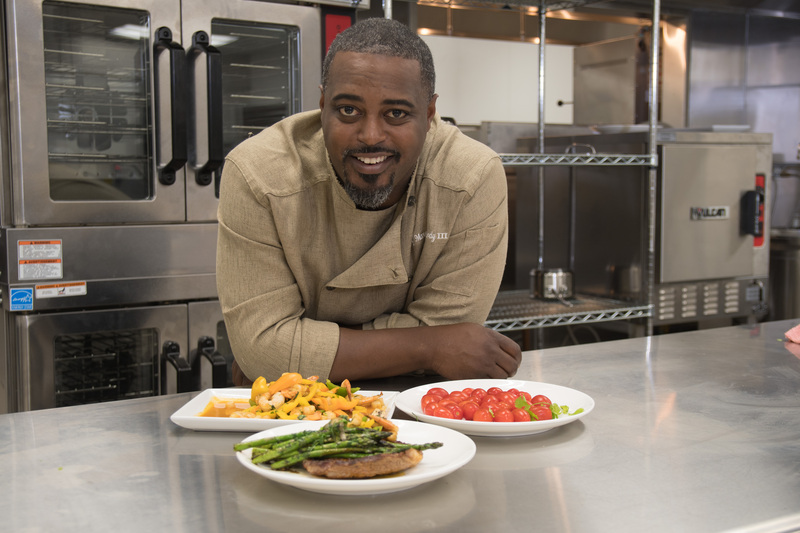 This week celebrity Chef Maxcel Hardy, owner of River Bistro, will offer furloughed government workers affected by the Federal Government shutdown some relief with a free “Chef’s Special” meal at his westside Detroit restaurant, River Bistro located at 18456 Grand River Avenue in the Grandont-Rosedale community. Any furloughed government employees who can show proof of government employment and choose to dine-in at the River Bistro, will receive a complimentary Caribbean Curry Chicken over Rice meal. The chef special is from Wednesday, January 23, through Friday, January 25, from noon until 8:00 p.m.
“We have a lot of wonderful customers who are Federal Government employees that patronized the River Bistro. When those customers are affected by payless paydays it also affects my business. I want to do my part to make it a bit easier for those furloughed employees who still deserve a place to eat well during this government crisis,” said Chef Maxcel Hardy, owner of River Bistro and Hardy Hospitality Group.